Finally, something bloomed. 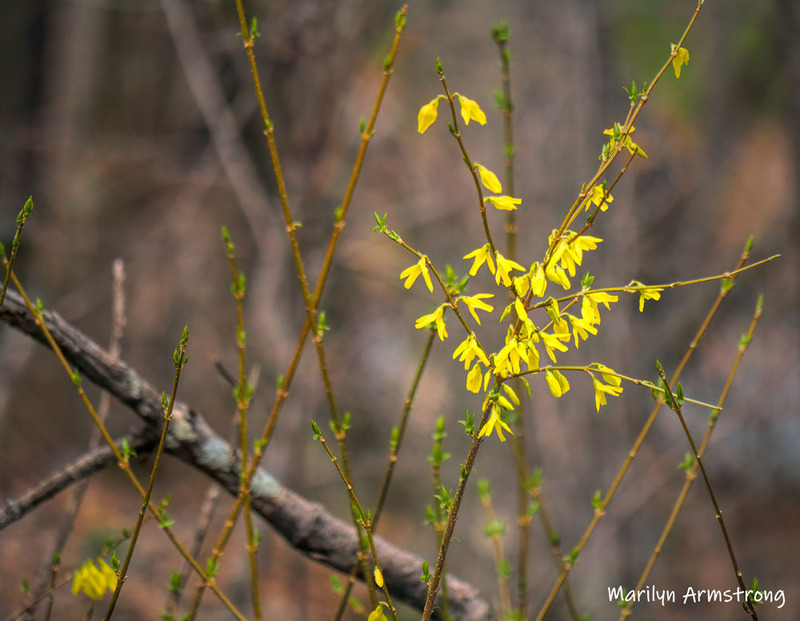 Forsythia, always the first flower of spring (not counting crocus). Oddly, our enormous forsythia hedge in the backyard which we cut down last year doesn’t look like it is planning to bloom this year at all. But I had to cut it down. It was huge and taking up half the yard. It stopped raining briefly, so I went out and took a few pictures. 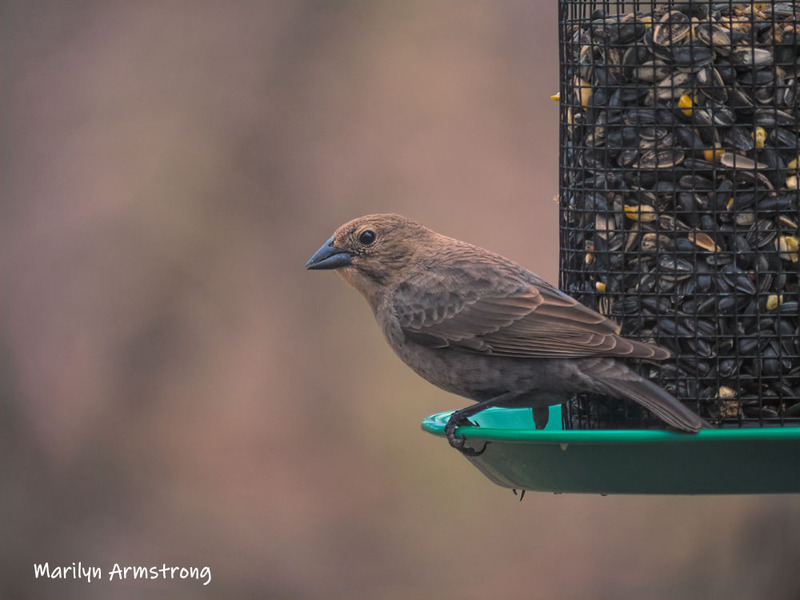 The Brown-headed Cowbirds are just a little added extra. 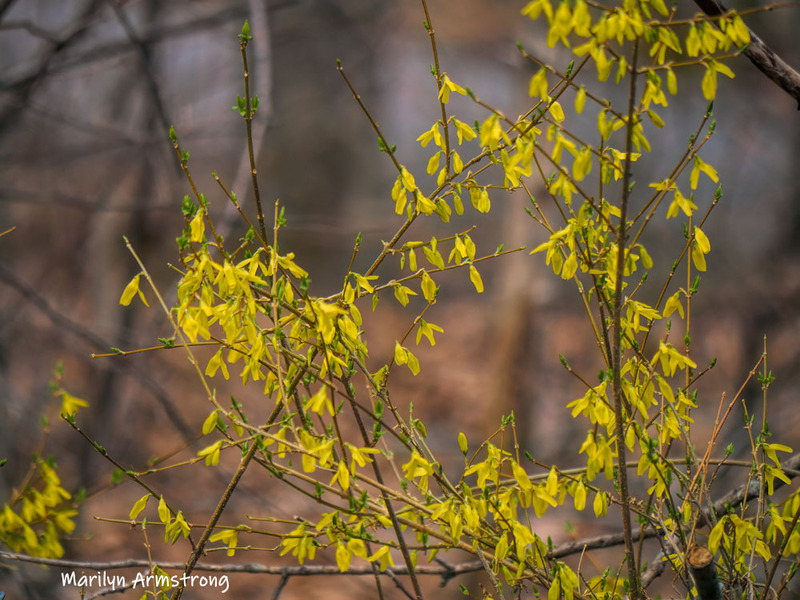 I enjoy the forsythia every year, the first trees to blossom showing Spring is here. This is the first time our hedge in the back hasn’t bloomed. It’s huge, but we cut it back a lot over the summer, so maybe it’s mad us. But yes, it IS the first real sign of spring. The crocus is really winter. The really are the announcers of spring. The crocus are so early, it’s really still winter,m but the forsythia scream SPRING!!! Lovely pictures, Marilyn, and well done for catching a good shot between bouts of rain! It’s absolutely GORGEOUS today, but likely the only day this week we’ll get full sun. By the weekend, it will be raining again. The rest of the week will be gray. We’ve had awful weather this year. 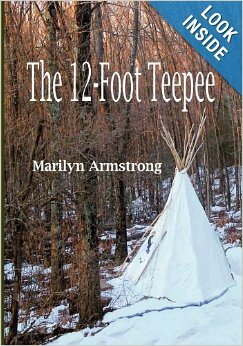 Yours is out before ours, Marilyn. We cut ours back too but it just looking a little light green on edges. The big one we cut back barely has any leaves. I hope we didn’t cut it back too much. But it really needed it. It was like 10 feet tall and at least that wide. The backyard was vanishing. And it didn’t bloom very much either. I think when they are that overgrown, they don’t blossom much. It will come back. They’re pretty hardy. I am very pro-forsythia and happy to see it bloom. I hope the other parts get happy again too. In North America, it means SPRING. Finally. Our daffodils started blooming this morning, too. They aren’t all fully open, but they are planning to open any day now. 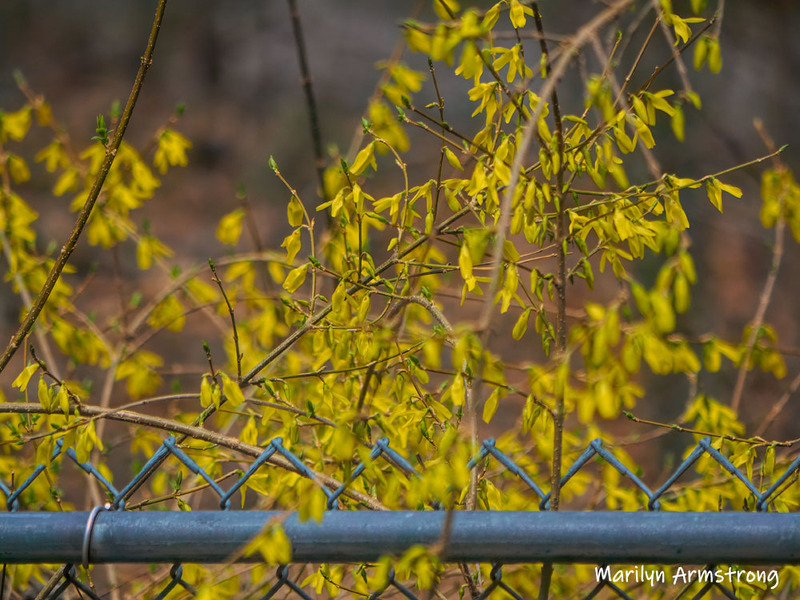 I’ve never been around forsythia, does it have a pleasing aroma? The birds are chirping endlessly now, so I’m thinking spring has sprung here too.